The Emergency Medical Holographic program (EMH) was a sophisticated hologram developed in the early 2370s by Starfleet and used on most Federation starships in the late 24th century. It was designed to provide short-term advanced assistance during emergencies in sickbay to the extent of literally replacing a starship's medical officer. The formal name of the program was EMH Program AK-1 Diagnostic and Surgical Subroutine Omega-323. Doctor Lewis Zimmerman wanted to call his creation the "Holo-Doc", but Starfleet Command made the request to name the hologram "Emergency Medical Hologram", instead. The first starship to be equipped with an EMH was the USS Voyager, although the Equinox, which was commissioned sometime the previous year, also had an EMH program. Deep Space 9 did not have an EMH installed initially, as it was incompatible with the station's Cardassian technology. An EMH was installed in 2373 as a way to transfer its data into the Long-term Medical Holographic program (LMH). As of 2377, there have been four versions of the EMH, called Mark I, II, III and IV. Starfleet commissioned the brilliant holo-programmer Lewis Zimmerman at the Jupiter Station Holoprogramming Center as the embodiment of modern medicine. The EMH Mark I was first activated on stardate 48315, and was programmed with 5 million possible treatments from the collective information of 2000 medical references and the experience of 47 individual medical officers. The EMH was also supplemented with contingency programs and adaptive programs to learn while serving as a supplement of a normal medical staff in cases of emergency. It contains 50 million gigaquads of computer memory, which is "considerably more than most highly developed humanoid brains." Dr. Zimmerman, proud at his achievement, decided to program the EMH with both his physical and psychological likeness. The resulting hologram was arrogant and irritable, and as a result was poorly received by many Starfleet doctors. This resulted in nicknames like "emergency medical hotheads" and "extremely marginal house calls". Some biological Starfleet doctors even went so far as to object to the use of the EMH. Doctor Beverly Crusher swore that she would never use one, although she was forced to do so in order to create a distraction while the Borg tried to assimilate the USS Enterprise-E, allowing her, her medical staff, and her patients, notably Lily Sloane, to escape from sickbay. Starfleet would later request Dr. Zimmerman to design a holoprogram to operate as a full-time doctor in any posting where life support or living space was at a premium and the primary mission did not require the doctor to leave sickbay. As a result, the research and design for the Long-term Medical Holographic program was begun in mid-2373. Eventually it was concluded that the EMH Mark I was defective, and they were bounced out of the medical corps. While an ashamed Dr. Zimmerman tried to have them decommissioned, Starfleet reassigned them to scrub plasma conduits on waste transfer barges. Later the Mark I's were also deployed in other menial tasks, like dilithium mining. Of at least 678 Mark I's created, 675 were reassigned, but at least some escaped by virtue of their ship being lost in the Delta Quadrant; one aboard Voyager, one aboard the Equinox, and the backup copy of Voyager's EMH which was in the possession of the Kyrians – assuming these were not counted among those reconfigured. Most notably The Doctor, a Mark I serving on the USS Voyager, ran almost continuously for years and was forced to expand his programming extensively to keep up. This EMH originally objected to being the replacement for the entire medical staff, as the EMH program was only meant to function for a maximum of 1,500 hours (62.5 days); after this time, memory degradation would occur. Fortunately, with the help of his colleagues, his program was altered to overcome this shortcoming. While the Mark I's outward appearance was a copy of its inventor, a disillusioned Dr. Zimmerman changed the outward appearance of the Mark II. Furthermore, the patterns of behavior of the following versions were designed to be more pleasant and courteous and their outward appearance was changed. To achieve this, Zimmerman initially tried to improve on the programming of the Mark I, but eventually decided to create the Mark II from scratch. In addition to that, new ship designs like the USS Prometheus enabled full mobility for the EMH, as the whole ship was outfitted with holographic projectors. By 2376, the Mark II had been replaced by a Mark III, followed by a Mark IV. By 2377, the Mark I programs were reconfigured to work at a Federation mining colony in replacement of other forms of labor. These programs, having been resigned to their new function, were able to obtain bootlegged copies of the holonovel Photons Be Free and view them. One of the EMH miners found the holonovel "provocative". In 2410, Starfleet produced the first female version of the EMH modeled after Kes, a member of the Voyager crew who assisted their EMH. 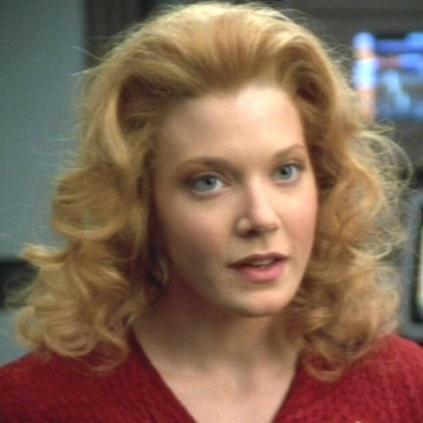 Starfleet chose her as the model in recognition of her duty to assist the Voyager crew's return to Earth and the development of their EMH into a fully sentient being. The EMH was a holographic simulation of a Human, but with no internal organs beneath the apparent surface to conserve computer power. EMHs were not equipped with reproductive organs. The Doctor, however, wrote additional routines into his holomatrix to facilitate romantic endeavors and has also had several relationships, one of which inexplicably resulted in a son. Holodecks used omnidirectional holographic diodes. A sickbay was fitted with a system of OHDs that projected an image of the EMH. Each projected a complete image. Visible portions changed as the hologram moved, creating an illusion of fluid motion. Magnetic containment fields allowed the EMH to interact with physical objects. These force fields moved as the EMH moved to create the appearance of solid matter. The containment fields could be shut off, allowing objects and people to pass through them – an EMH's cohesion could range from solid to intangible. When OHDs and magnetic field generators were added to other parts of a ship, they allowed the hologram to leave sickbay (as in more advanced Starfleet ships or modified configurations). USS Voyager also discovered the 29th century mobile emitter technology which, when attached to the EMH and it‘s program transferred to emitter, would allow EMH to roam freely, but would not be vulnerable to possible damage, on board ship, shuttles or even planetary surfaces. This allowed the EMH to act as a medical aid during away missions. The EMH was a hologram, thus its operations range was limited to the areas with supported holographic generators. On standard starships this would mean sickbay and holodecks. The universal translator algorithm is written into the EMH’s matrix.